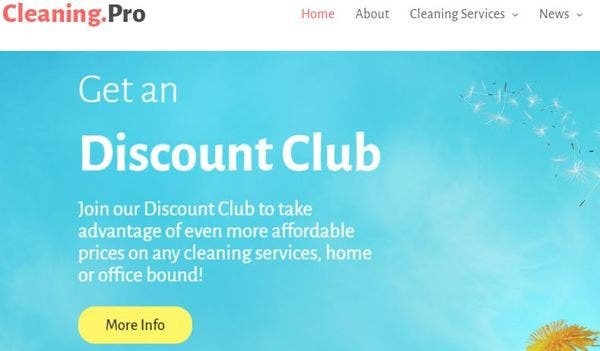 If you are someone who has started a cleaning services company and are looking to expand your reach, the best way to do this is by building your website. This task can be very daunting for many because it takes time. 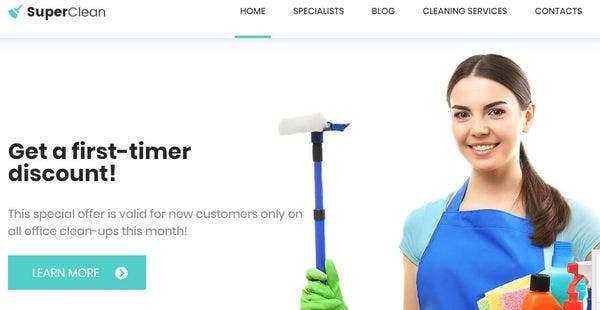 To help you create a website for your cleaning service business, choose a modern and professionally designed WordPress cleaning website theme. 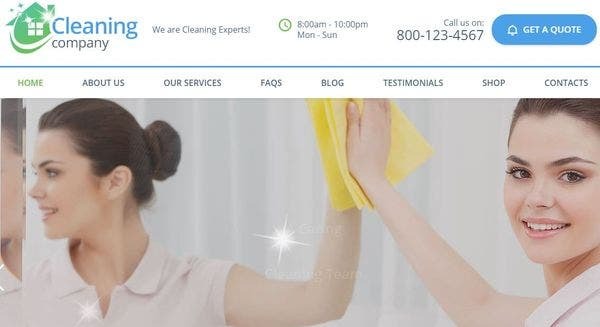 Here are 20+ top rated cleaning services theme for WordPress. 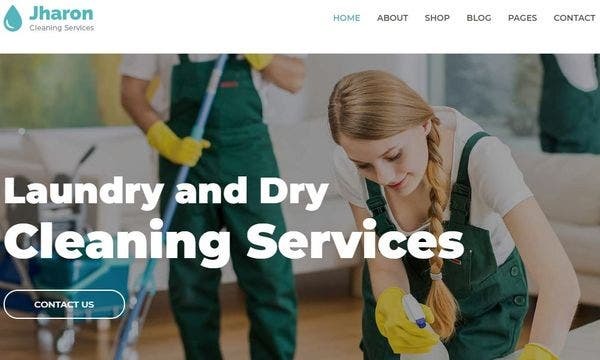 This is a powerful WordPress theme for cleaning shops and laundries and runs really fast. Having the cherry protects plugin makes Water and Soap a lightweight and flexible theme. It is well-documented and comes with custom widgets that enhance its aesthetic appeal. It also offers multiple layout options that you can choose from. PrettyPress comes with the new slider revolution that really impacts the performance fo a website in a good way. It comes with a range of unlimited colors to choose from while designing. It is a fully responsive WordPress theme that is easy to customize and is Mailchimp ready. 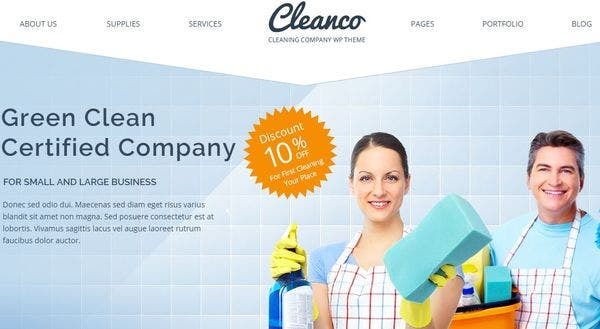 Clean-n-go WordPress theme for businesses like cleaners comes with an Ajax products filter. As the name suggests, this helps to organize a filter on your products. This theme also comes with a calendar feature to help with advanced booking. 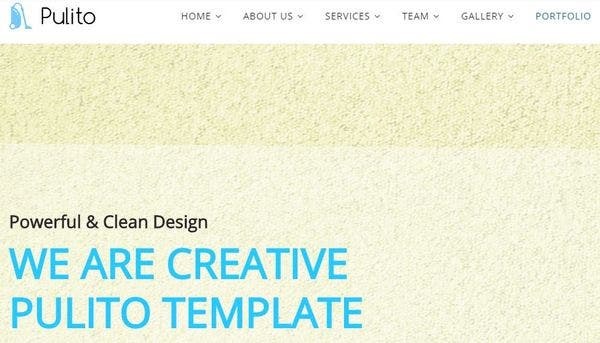 It is a MailChimp ready template that is great for email marketing. 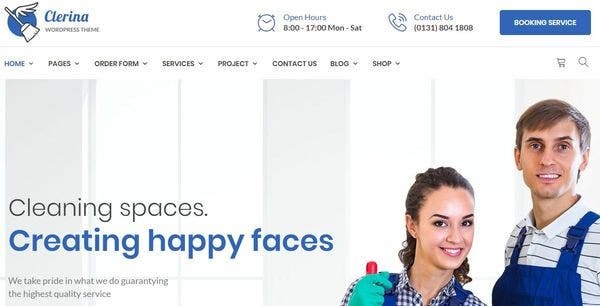 Clerina has 3 unique home pages that you can choose from and design your website. Apart from that, it also has 2 different booking forms that you can. This theme has also made booking possible with mobile. It is WooCommerce Ready and SEO optimized theme. Pulito comes with Parallax effects that make its design smooth and fast. This theme has on-scroll animations and animations done on CSS3. It has a clean code and is thus very easy to set up. This is a 100% responsive theme that is also designed very well. 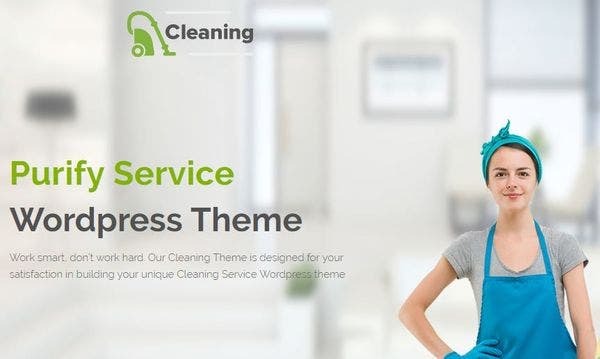 Cleaning Services is a WordPress theme that comes with 2 skins that you get to choose from. These skins are made from HTML5 and CSS3 and due to their valid code this theme runs smooth. It is WooCommerce compatible theme and WPML ready. It comes with WPBakery Page Builder. SuperClean was built with HTML5 and CSS3 making its code new and clean. It is fast and easy to use. 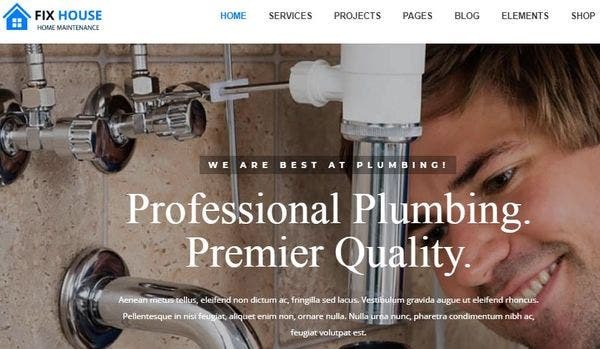 This is a WPML ready WordPress theme for cleaners and laundries, which is also fully responsive and retina ready. Additionally, it is also search engine friendly and comes with a booking form for all your clients. Clany comes with free lifetime updates leaving you with any worry of staying relevant. Additionally, it also has a 24/7 dedicated support team always ready to cater to your worries. This theme is Gutenberg compatible, it is translation ready and comes with a twitter feed widget. 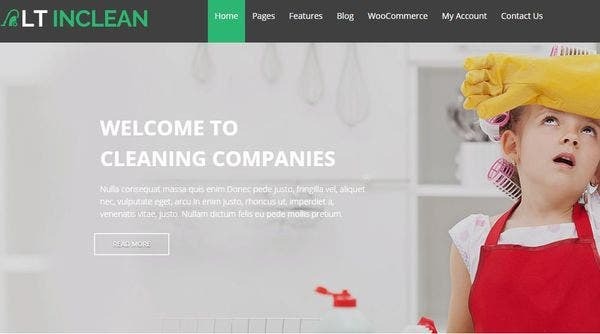 LT Inclean is an easy to edit WordPress theme that uses the latest drag and drop editor that would help make a great website. It comes with the Bootstrap feature and its animation was made by CSS. This theme has unlimited color options and is mobile friendly. 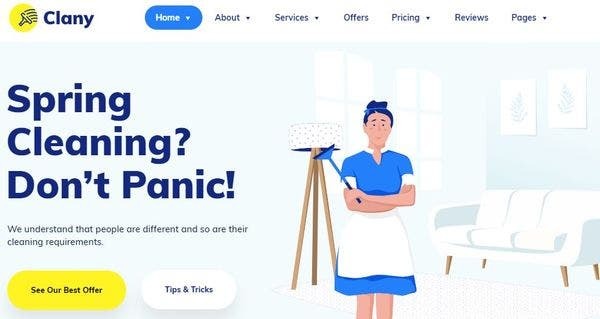 Big Cleanup is a great theme and its animation was done with HTML and SWiSH making it well worth its price. This is a responsive WordPress theme that has a long-term support system. They also have a place to write down testimonials and showcase your media library. Cleanco has a method of organizing complex navigation layouts through the Mega Menu. It offers a place where you can book and schedule visits. It comes with a one-click demo installer. This theme is WooCommerce compatible, responsive and mobile friendly. It offers unlimited portfolio pages. 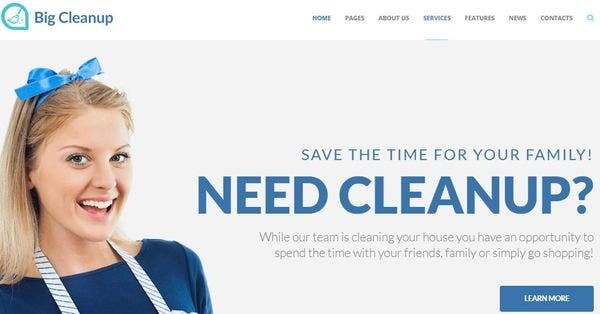 Cleaning Services is a 100% mobile responsive theme that comes with free updates for life. It is a fully editable theme that is WPML ready thus taking care of your language needs. It offers 80+ shortcodes and is also SEO ready. This theme is also Parallax Ready making it smooth and fast. 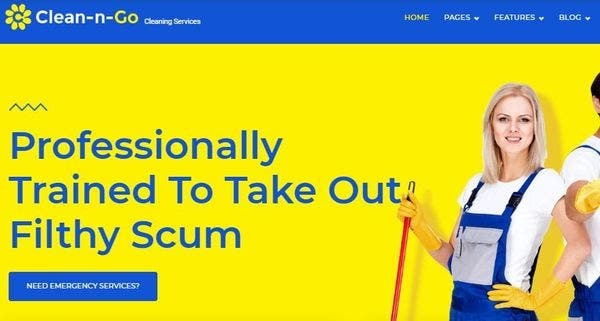 Cleaning Company is a theme that comes with the Mega Menu. This theme is easy to customize and is fast loading. It is a fully responsive WordPress theme that has been “search engine optimized” to cater to your marketing needs. This theme is translation ready. Jharon is a WordPress theme that is easy to customize. It is a fully responsive theme that is search engine optimized. This is an important feature as this will help your website climb in the list of Google search option. It is Multiple languages and cross-browser compatible theme. This is a fully editable modern and minimalist WordPress theme that comes with many features. Some of which include, custom post types and fantastic sliders all there to enhance the performance and beauty of the theme. It comes with lifetime free updates which are really important. This theme is also BootStrap compatible. Quick lives up to its name with a one-click demo installer. This theme has been built with HTML5 and CSS3 making it a fast running theme. With the new slider revolution and Elementor Page builder editing the theme got a whole lot easier. It comes with Parallax effects and is translation ready. The Bokeh comes with BBPress installed into it. This plugin helps add forms to your WordPress account that everyone can benefit from. This theme is built by HTML5 and thus has a really clean code. This is a fully responsive theme and has the Bootstrap plugin installed. This is a well-documented theme that is very easy to use. Cleaning & Maid also comes with an easy installation process. It has features like a performance optimizer and Google web fonts which work to make the theme better. It is also a search engine friendly theme. 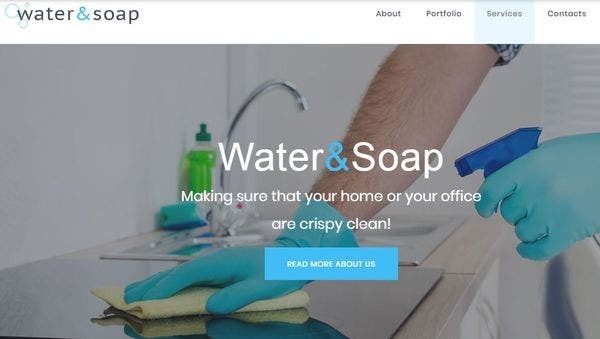 Cleaning is a WordPress theme that comes with 4 unique home page themes that you can choose from. It has a movable and unlimited slider. This theme is WPML compatible and is a fully responsive, retina-ready theme. It also comes with a one-click demo staller and is cross-browser compatible. 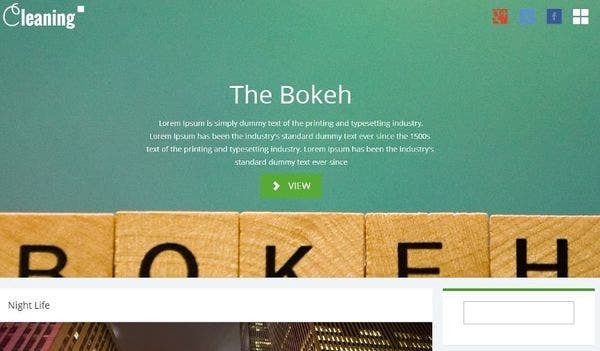 FixHouse comes with a WPBakery Page Builder that helps design your website comprehensively. This theme has the new slider revolution and an Instagram feed built into it. It is a fully responsive, retina ready theme that is also BBPress compatible. 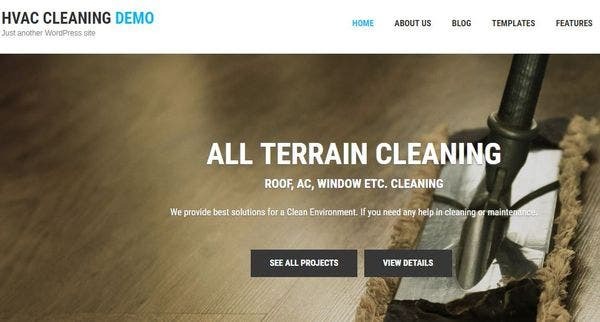 HVAC and Cleaning is a fully responsive WordPress theme that is also mobile friendly. This theme is translation ready and you can showcase your blog, gallery and much more. It is a widget ready, WooCommerce compatible theme that was designed to ease your burden. The WordPress themes on this list are specific to the topic above. The tools, plugins and features in them cater to your every need so use them wisely!